Sometimes a washing machine will make loud, knocking noises during a spin cycle. This usually means it is out of balance and off track. There are two common reasons for this: Your machine may be out of level, or the load of wash you're doing may be too heavy -- pushing the drum to one side as it spins. Either way, the fix is simple and takes only a few minutes. Getting your washing machine on track takes only a few minutes. Check your washer for an unbalanced load. If you are washing something very large or heavy, like a bedspread or quilt, it may have shifted and become unevenly distributed in the drum -- in a way that knocks it off track. Turn off the machine, and open the door. 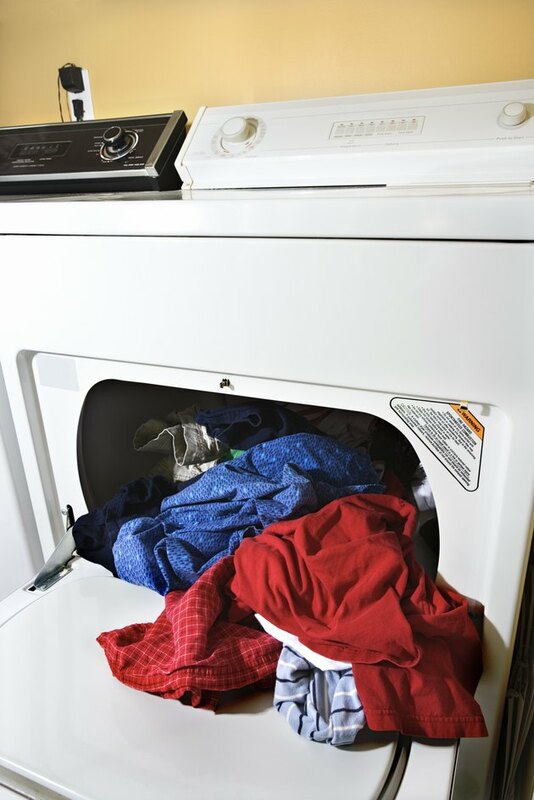 Remove the clothing or other items from the washer, and redistribute them evenly around the drum -- making sure their weight is redistributed evenly. Close the door, and turn on the machine again. If the rattling continues, repeat Steps 2 and 3 until it stops. Check to see if the machine is level, if the rattling and knocking noises continue after redistributing the load at least twice. Turn off the washer, and empty it. Place a long level on the top, along each of the four sides, to see which area needs leveling. Adjust the feet or clamps at the bottom of each corner, using pliers, to raise or lower the corner to level the uneven side. Recheck at the top of the machine with the level, to make sure all four sides are in level.